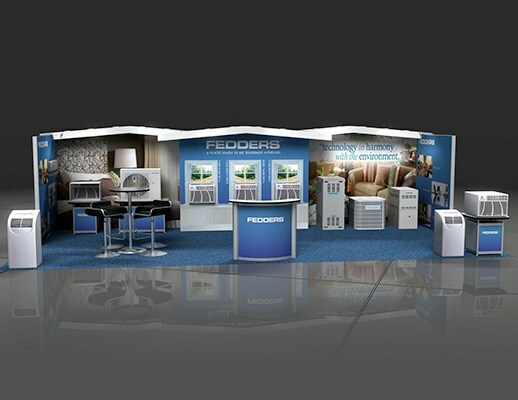 Utilizing a strong "home" feel, this exhibit is comfortable and inviting. 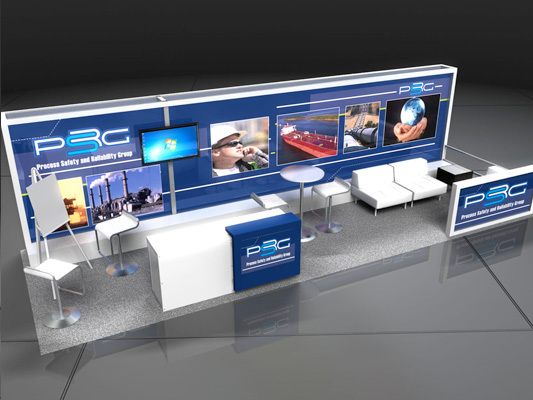 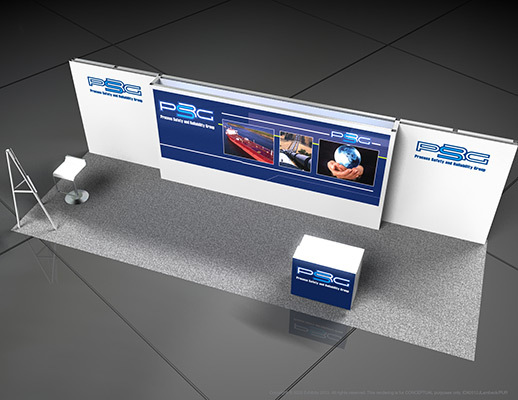 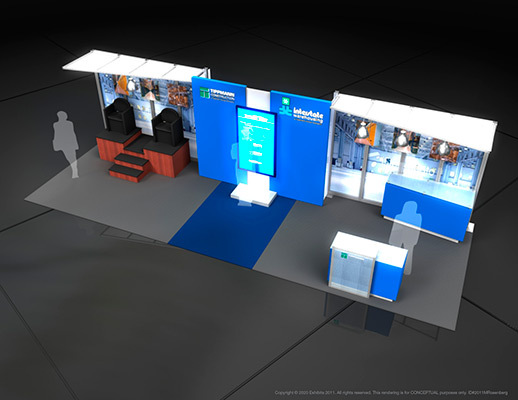 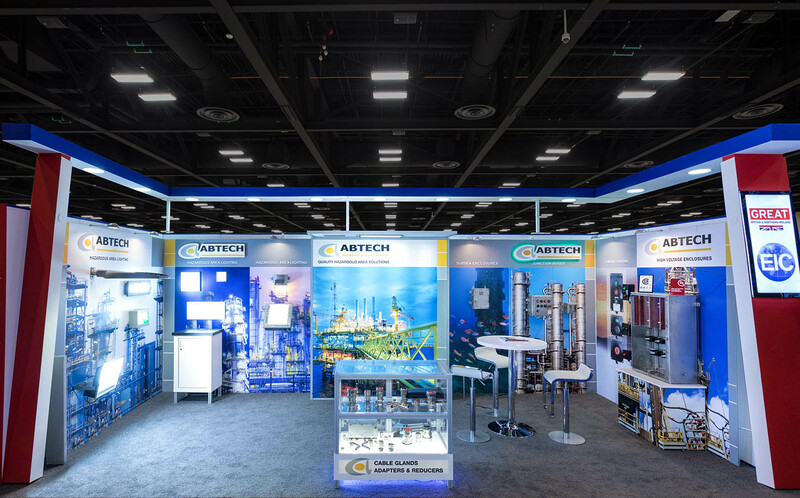 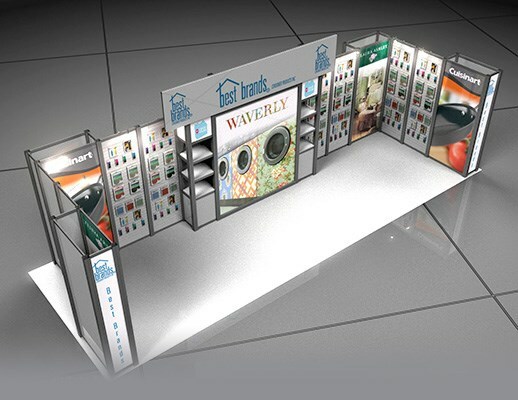 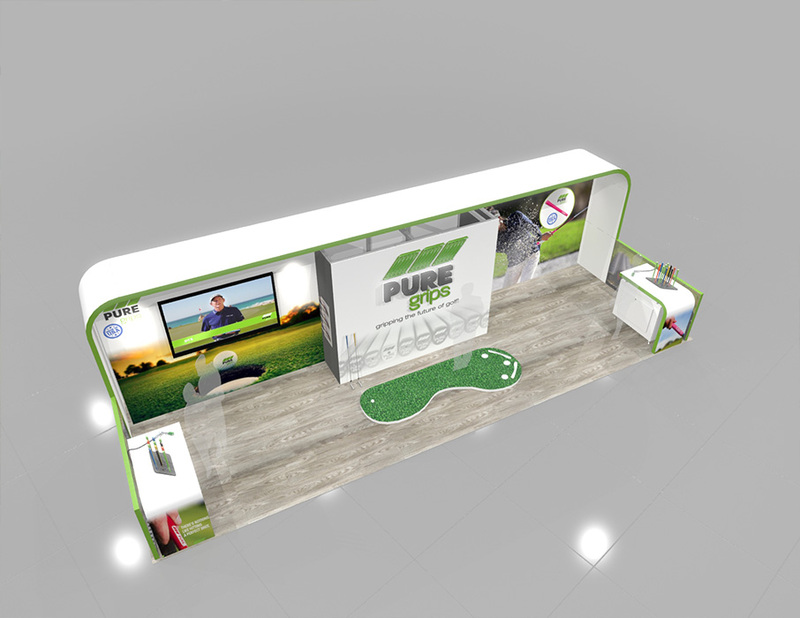 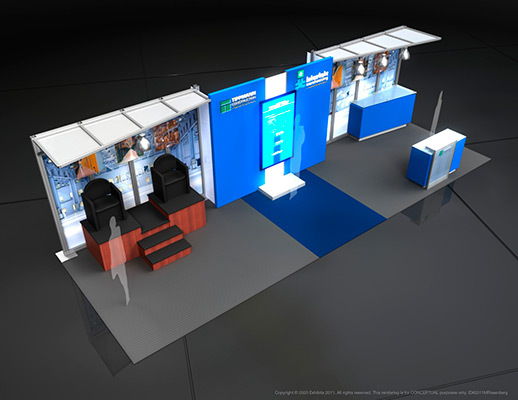 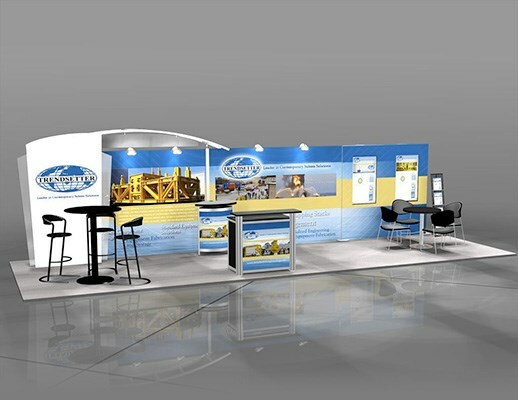 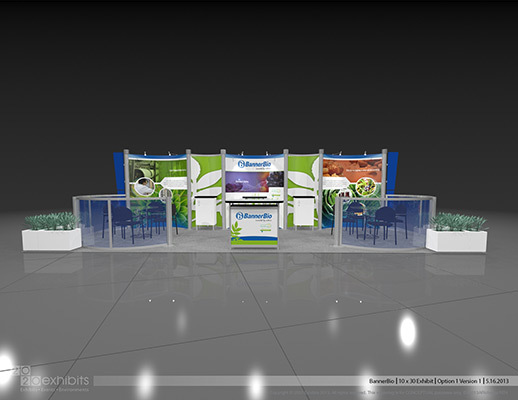 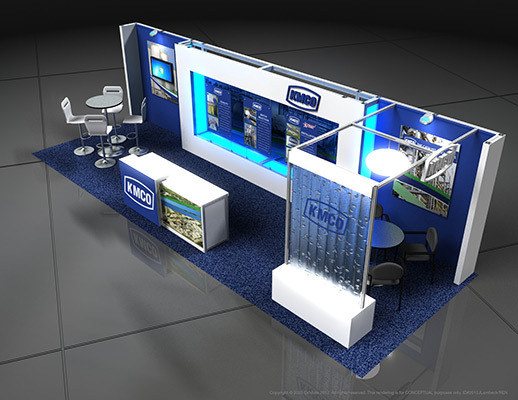 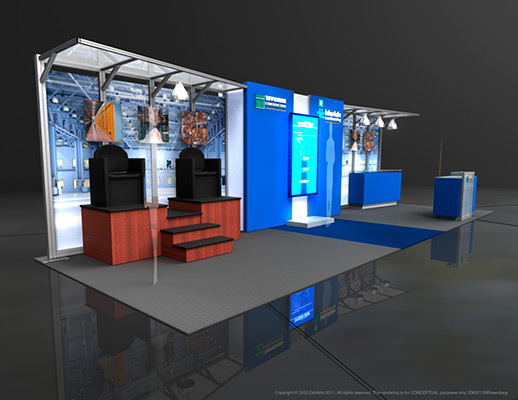 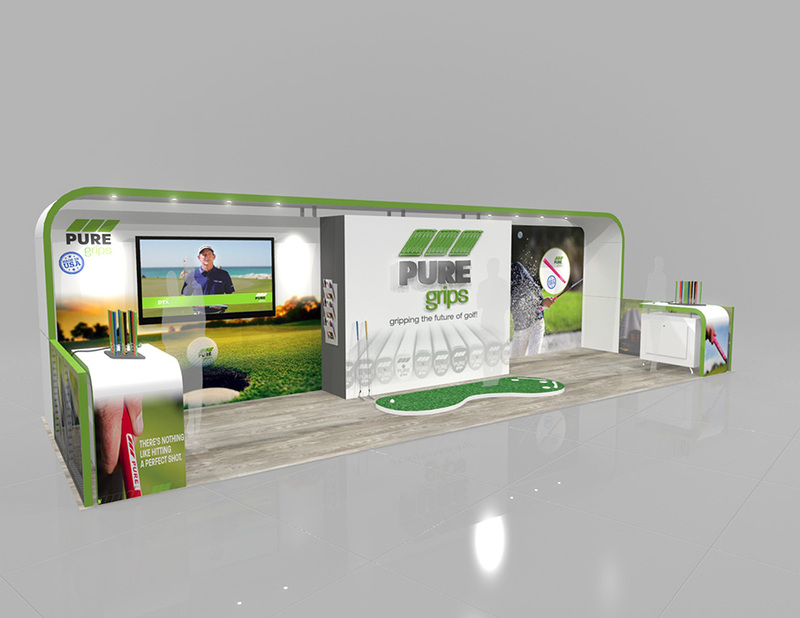 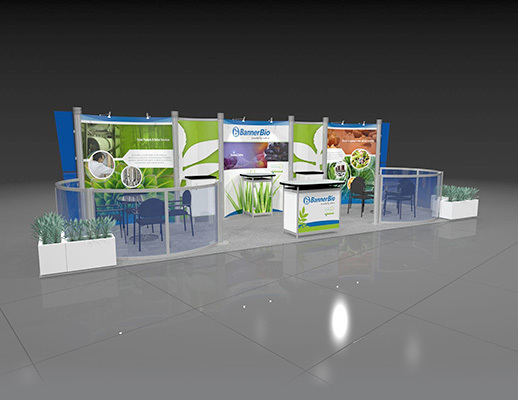 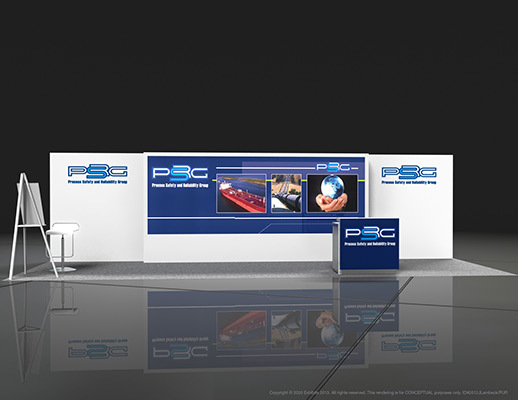 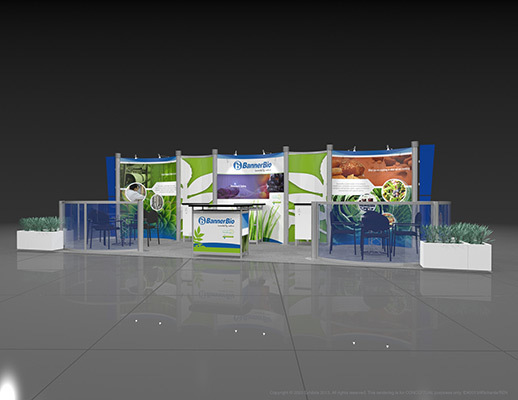 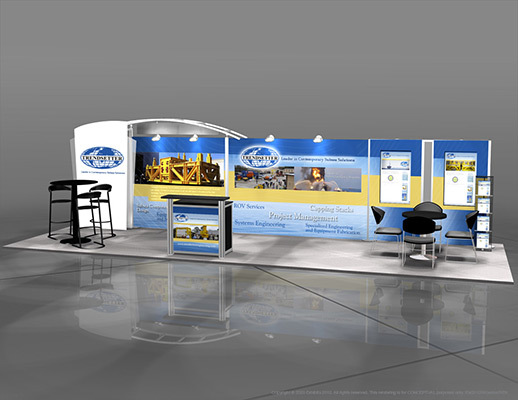 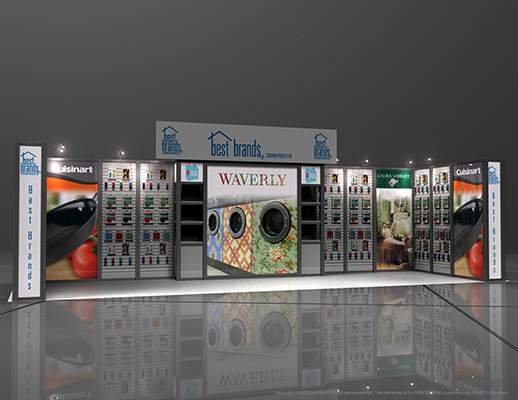 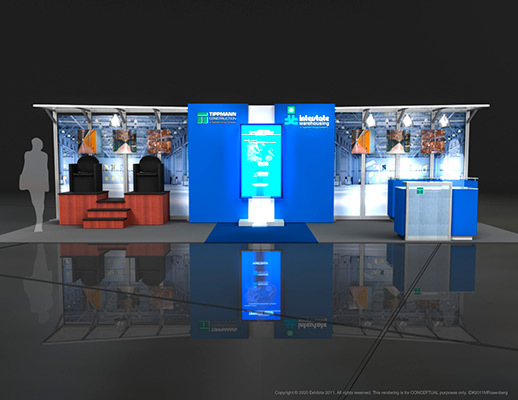 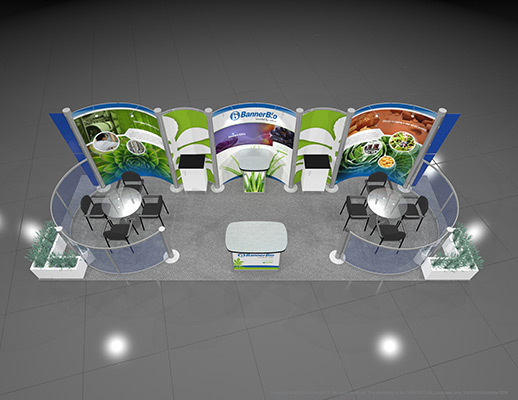 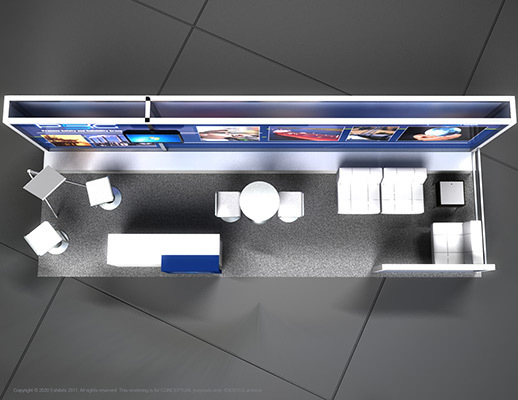 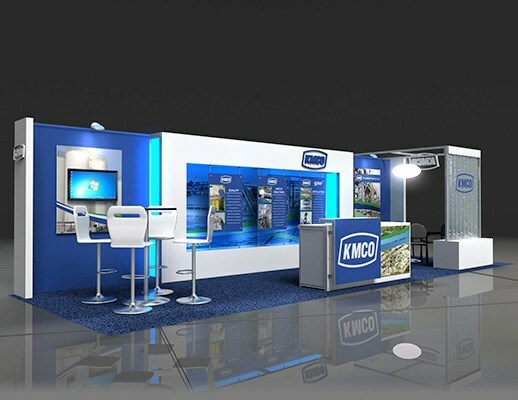 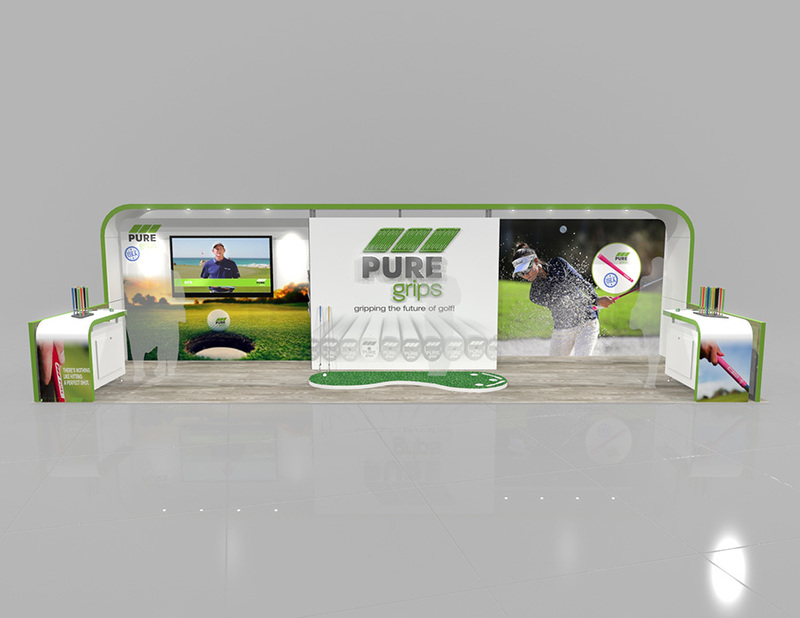 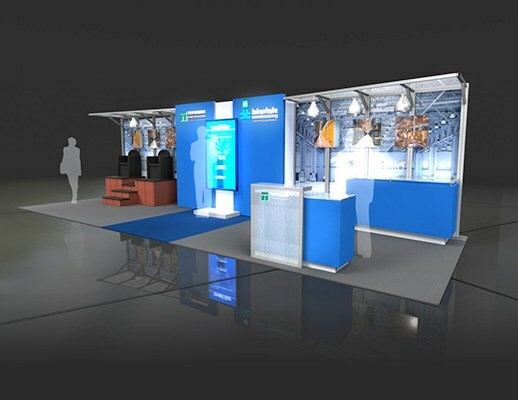 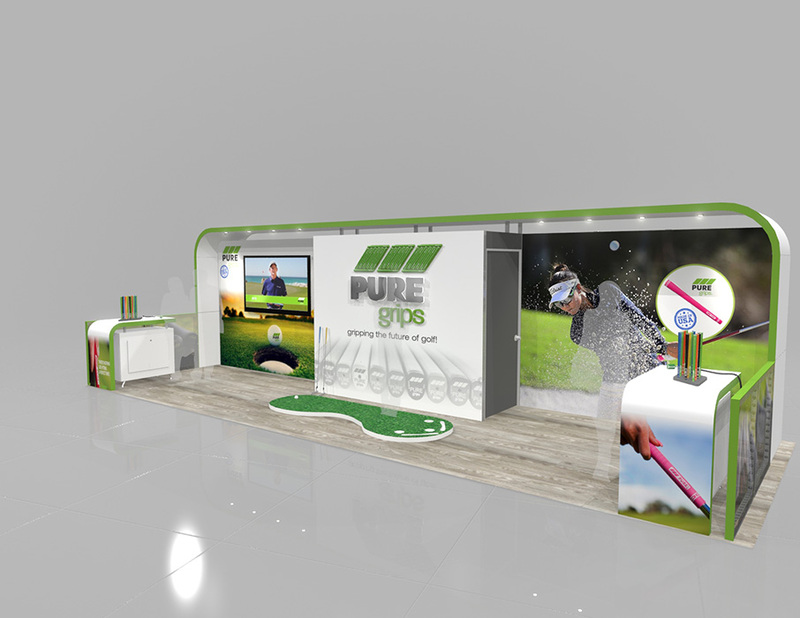 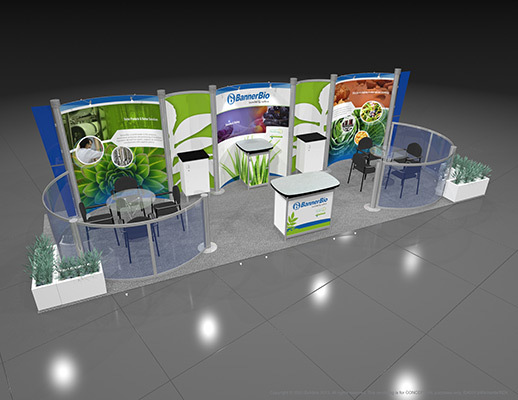 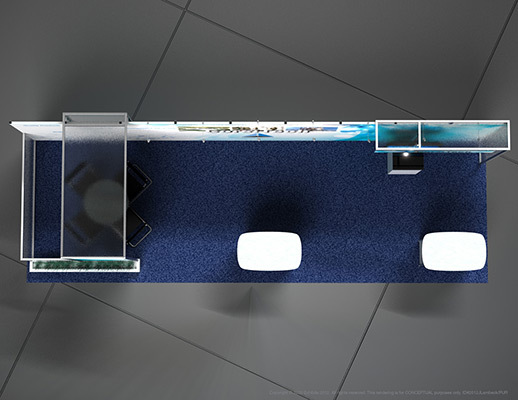 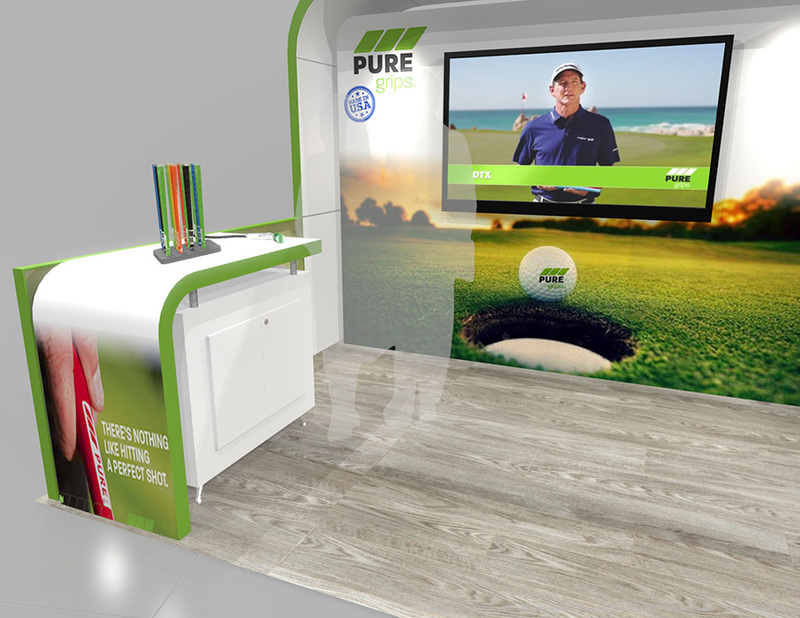 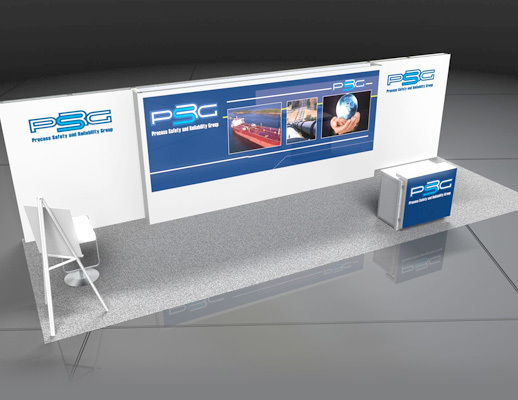 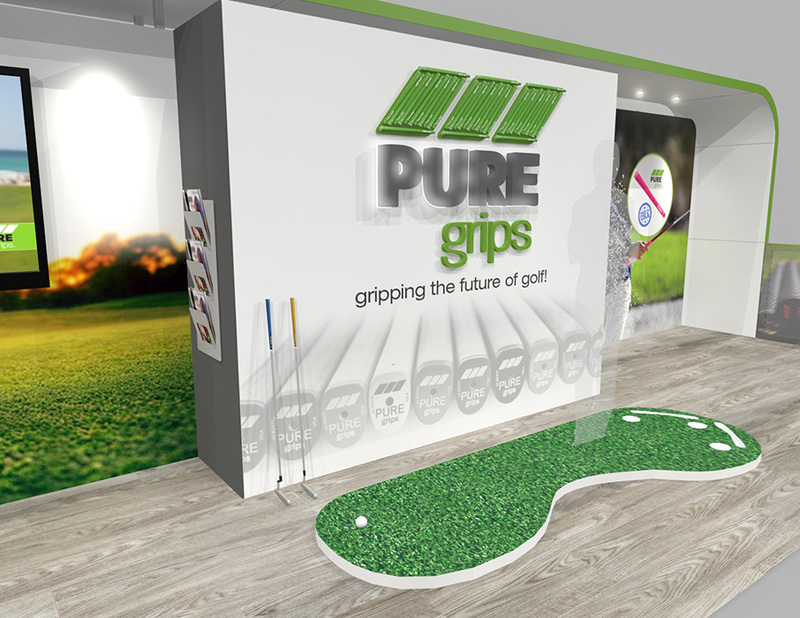 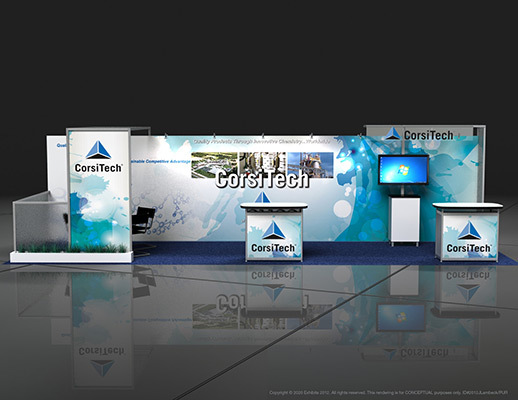 The exhibit environment provides ample space and opportunity for comfortable traffic flow and interaction, while showcasing a large branding image. 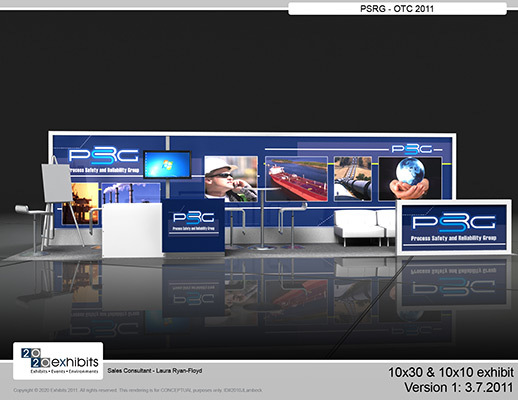 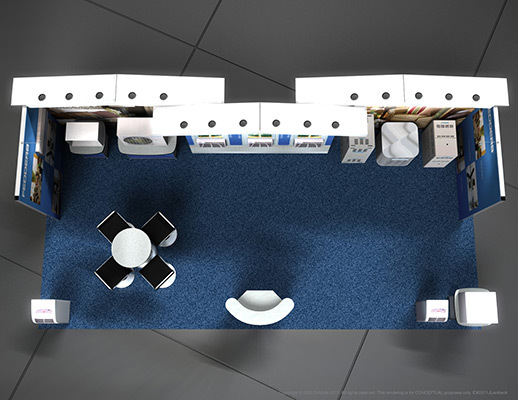 Several product stations allow for an aesthetically pleasing journey through each part of the booth. 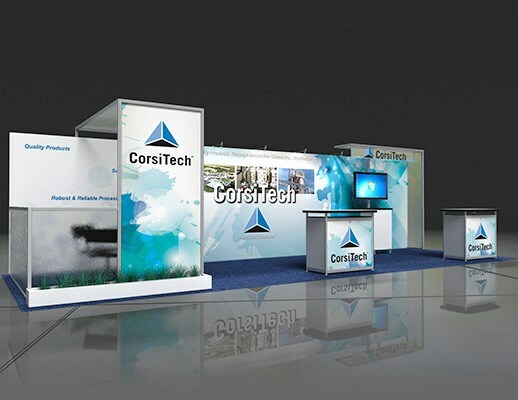 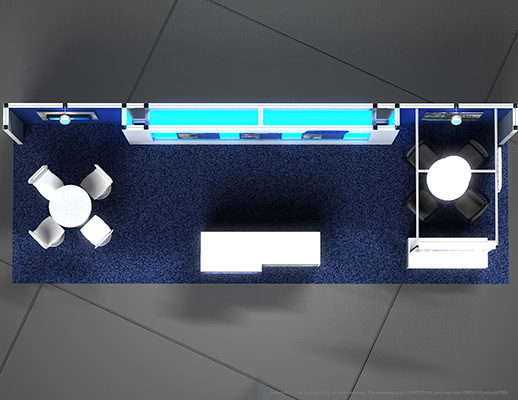 Features include: theme, graphic backstops, multiple product stations, reception desk, graphic banners, product displays, overhead lighting, strong graphics and "home" feel.